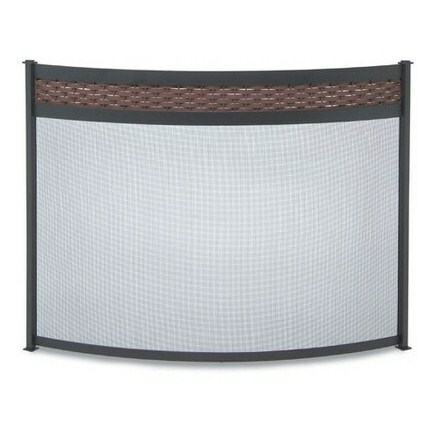 A distinctive weave design across the top of this bowed screen compliments any décor. Many current furniture styles reflect this warm weave design. From its solid square iron feet to an intricate weave design, every component of the screen is made using solid iron. Modernly appointed and finished in matte black and pyrite. As with all Pilgrim products, this screen comes with a limited lifetime warranty that ensures the choices made to outfit your hearth with our products is a smart one.